Last Wednesday, federal regulators announced that they were beginning the so-called stress tests on the country’s largest banks. One thing that hasn’t been entirely clear: exactly which banks are getting the treatment. Based on the criteria announced by the Treasury Department and publicly available data, we’ve compiled a list of those 19 banks below. Some, like GMAC and American Express, weren’t banks until a few months ago, when they converted to bank holding companies in order to be eligible for Treasury Department programs. All but one, the insurance company MetLife, which qualifies because it’s a bank holding company, have already received billions from the Treasury. Treasury Secretary Tim Geithner has said the test will be used to assess how much more (if any) in bailout billions these institutions need. A GMAC spokeswoman confirmed the company was among those participating in the stress tests, but declined to comment further. A MetLife spokesman declined to comment on the tests and referred questions to the Treasury. Spokespeople from both the Treasury and the Federal Reserve declined to comment. The assessments, directed by regulators but performed by the banks themselves, will analyze how a bank would fare under a grim economic scenario (some argue not grim enough) in the next couple of years. Based on those tests, the Treasury will force the bank to raise a specified amount of money – between 1 percent and 2 percent of the company’s risk-weighted assets, though in special cases the Treasury could decide more is needed. If the money can’t be raised privately, the Treasury will provide it. For the biggest banks, like Bank of America and JPMorgan Chase, 1 percent of risk-weighted assets amounts to about $13 billion. If the Treasury decided each institution required the maximum, more than $140 billion would be needed, most of that likely coming from public coffers. The investments will made as preferred shares convertible to common shares. 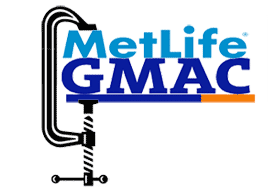 GMAC, the financial arm of General Motors that also has insurance and mortgage divisions, converted to a bank holding company in December. Then, as part of the bailout of GM and Chrysler, the Treasury invested $5 billion in GMAC. It’s unclear exactly how much more GMAC could get after the stress tests since the company does not publicly disclose its risk-weighted assets, but the extra bailout dough would most likely range from $1 billion to $3 billion. A number of insurance companies have sought to convert to bank holding companies to get a piece of the bailout, but MetLife, which has been a bank holding company for years, apparently hasn’t applied for aid. As of yet, no insurance companies have been approved.